Not to be confused with Waldo, the WALdok comes to us from Kickstarter and it's a small form-factor speaker dock for the iPhone 3G/S, iPhone 4 and iPod nano, Classic and Touch that plugs directly into your wall outlet providing power to the WALdok while also charging your iPhone or iPod. Not only will you be able to plug the WALdok directly into a wall outlet, its got an internal rechargeable battery allowing it to become a desk speaker. You're not going to get surround sound using this little speaker but it's a pretty nice little gadget. If you want to pre-order one of these, you know the Kickstarter drill by now. 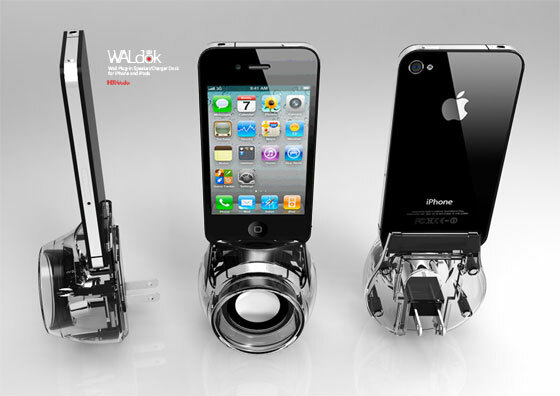 You can pre-order one for $59 and help fund the WALdok on Kickstarter. Head over to WALdok's Kickstarter page for all the details and even more images.